B & H Engineering, P.C. 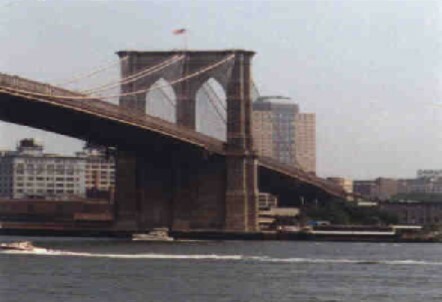 has provided construction inspection services, as a prime consultant, for the New York City Department of Transportation for the Rehabilitation of Brooklyn Bridge travelers. The construction inspection services consisted of performing field inspection; monitoring work zone traffic control and safety; coordination with NYCDOT agencies, other contractors, and utility companies; reviewing contractor's schedule, equipment, and staffing; monitoring contractor's EEO requirements; conducting wage rate interviews; processing payments and change orders; and maintaining office records. The project involved replacement of electrical and mechanical components, miscellaneous steel repairs to the traveler system, hazardous waste removal, and installation of shielding over no-drop zone.